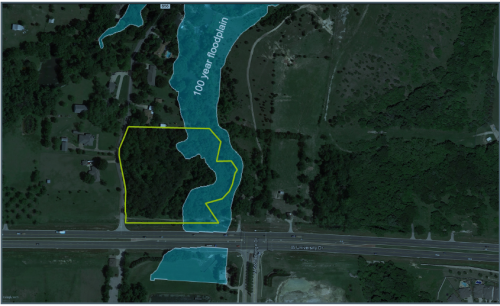 This is 5.8 Acres of prime property with 505 ft of desirable frontage on Highway 380. 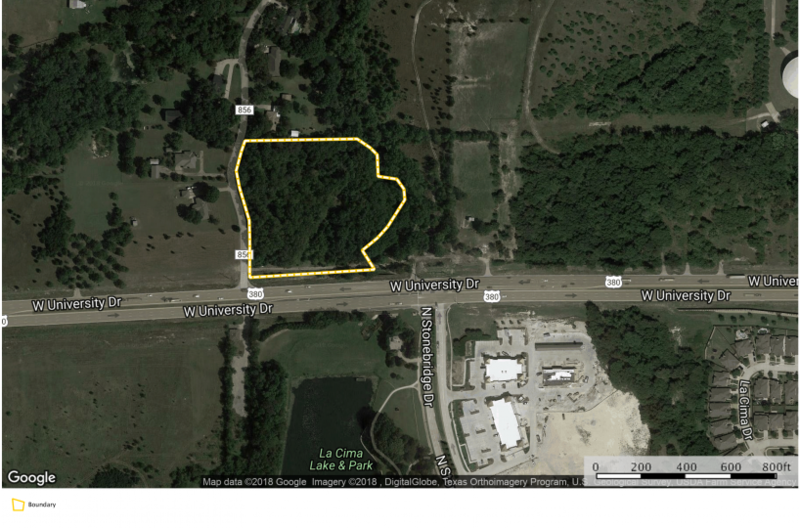 Wooded with creek running to the east of the property making possible creek view lots for residences or office spaces. Water stubouts are along Highway 380. 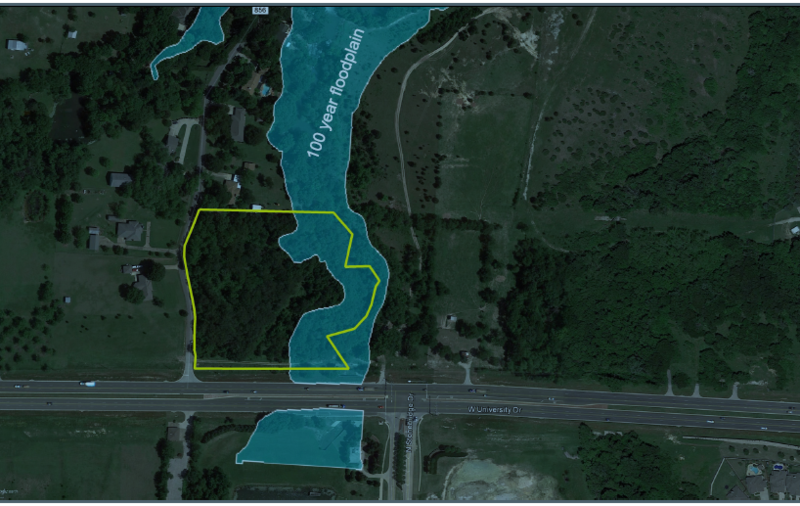 Access to the property is from County Road 856. This lot includes Parcels 973432, 973441, 966477. 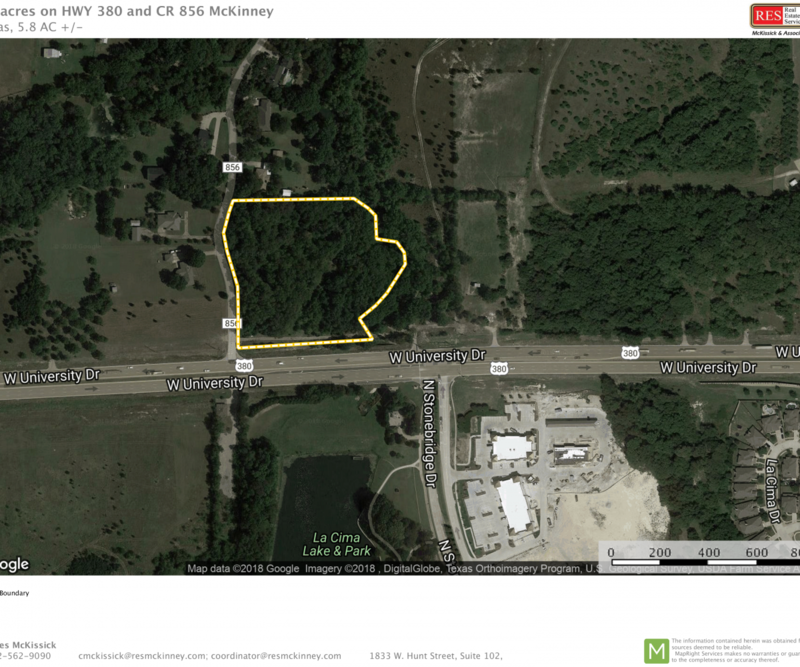 The McKinney Future Planning Map indicates this land as a Suburban Mix – Neighborhood and Light Commercial.